In this article we will study of basic electrical question and which is mostly asked in interview. We will know all basic electrical question and answer. 1. What is drifting current? The steady flow of electrons in one direction caused by the applied electric field constitutes electric current, called the drift current. 2. What are limitations in ohms law? Ohms law cannot be applied to the circuits consisting of electronic tubes or transistors (because such element are not bilateral) and 2. Nonlinear elements such as powdered iron, electric arc etc. 3. What is meant by potential divider? The potential divider is a high resistance connected across the supply mains and is used to provide a variable voltage from a constant supply voltage. 4. What is the principle of duality? Two physical systems or phenomena are called dual if they are described by equations of the same mathematical form. The principle of duality holds goods for series and parallel circuits. 5. What is mean by node? A junction or node is a point in a network where two or more branches meet. 6. Distinguish between mesh and loop of networks. A loop is a closed path in a network formed by a number of connected braches. Mesh is a loop that contains no other loop within it. In a network of linear impedances containing more than one source, the current which flows at any point is algebraic/ phasor sum of all currents which would flow at that point if each source was considered separately and all other sources are replaced by their internal impedances. In basic electrical question and anshwer mostyly asked about the super position theorem. The venin‘s theorem is advantageous when we are to determine the current in a particular element of linear bilateral network particularly when it is desired to find out the current which flows through a resister for its different values. It makes the solution of the complicated networks ( particularly electronic networks) quite simple. 9. why terminal potential of a cell ( or a battery) is alwys less than its emf?. Terminal potential of a cell (or a battery) is always less than its emf because some of the emf developed is used in overcoming the internal resistance of the cell (or a battery) itself. 10. What is polarization vector? The some of dipole moments per unit volume in a dielectric material is called the polarization vector or dielectric polarization, P.
11. What do you mean by solenoid and rotational fields? A vector field that has a zero divergence is called the solenoid field and a vector field having a zero rotational everywhere is called an rotational field. 12. Define capacitance between two conductors. ? Capacitance between any two conductors is the charge required to be added to increase potential by unit. Mathematically , C = Q/V. 13. What is Fleming’s right hand rule? According to Fleming’s right hand rule if the thumb, fore-finger and middle finger of the right hand are held mutually perpendicular to each other, forefinger pointing into the direction of the field and thumb in the direction of motion of conductor then middle finger will point in the direction of the induced emf. It is basic electrical question in electrical field. 14. What is hysteresis loss? The energy expended in taking a specimen through a magnetic cycle is known as hysteresis loss. Hysteresis loss is very basic electrical question in case of transformer. 15. What is the effect of self-induction in a dc circuit? The self-induction opposes the change of current in a dc circuit. 16. How can eddy current and hysteresis losses be minimized? Hysteresis loss can be minimized by choosing a core material with low hysteresis coefficient such as low carbon steel, silicon alloys, and alloy steel. so these are basic electrical question and answer post basic electrical question. 17. What is see beck effect? Here we will know about some AC basic question and answer. 1. Why the RMS value of an alternating current or voltage is used to denote its amplitude? RMS value of an alternating current or voltage is used to denote its amplitude because it is related to the power developed in a resistance by the alternating current or voltage. 2. What is armature value of an alternating or voltage? The effective or RMS value of an alternating current is given by that steady current which when flows through a given resistance alternating current is flowing through the same résistance for the same time duration. 3. What is significance of form factor? Form factor is a means of relating the mean value with the effective or RMS value of alternating quantity and it is useful in determination of effective or RMS values of the alternating quantities whose mean or average values over half a period can be determined conveniently. 4. What is the significance of peak factor? Knowledge of peak factor of an alternating voltage is very essential in connection with determining the dielectric strength since the dielectric stress developed in an insulating material is proportional the peak value of the voltage applied to it. 5. Why is the inductor usually iron cored? Inductors or choke coils are made of iron core because large valued flux densities can be produced in iron cores and so inductance of large value can be had. Air-cored inductors become too much bulky to provide an inductance of required value. 6. What is skin effect? The phenomenon of concentration of an electric current near the surface of the conductor is known as skin effect. 7. What is the active and reactive power? The power which is actually consumed or utilized in an ac circuit is called the true or active power of the circuit power is consumed only in resistance. It is given by the product of the circuit voltage current and power factor. A pure inductor and a pure capacitor do not consume any power, as in a quarter cycles whatsoever is drawn from the supply source by these components, the same is returned to the supply source in the other quarter cycle. This power which flow back and forth (in both direction in the circuit) or reacts itself is called reactive e power. This is also known as wattles power. The reactive power of an ac circuit is given by the product of voltage current sine wave angle. Here we will study about some basic dc machine question and answer. Because the value of permittivity of free space is very small compared to permeability of free space. 2. What is the main factor which governs the size and rating of electric machine? “Temperature rise” is the main factor which governs the size and rating of an electric machine. 3. What information’s should the rating of a machine give? The rating of an electrical rotating machine should include the output, voltage, speed and any other information that may be necessary for the proper operation of machine. 4. In which terms are dc machines rated? The dc machines are rated in terms of KW output at a given speed and voltage. 5. Why the coils used in commercial generator do consist of several turn in series? It is done so as to increase the magnitude of generated EMF, being in direct proportion to the number of turns in the coil. 6. Why is the armature core of a dc machine laminated? To reduce the eddy current loss. Here we will know about some basic power generation electrical question and answer. 1. What are the reasons of power crises in India? The causes, which are responsible for power crises in India, are sharp increase in demand, poor utilization of electrical equipment, high transmission losses, the delay in commissioning of power high transmission losses, the delay in commissioning of power projects, erratic monsoons, shortage of coal, faulty planning and plant outages. 2. What is meant by catchment area? The catchment area is the area, bounded by water sheds, which drains into a stream or river across 3. which the dam has been built at a suitable place. 3. What is hydro graph? A hydro graph is a graphical representation between discharge or flow with time. 4. What is the use of mass curve? Mass curve is used in determination of the capacity of the storage reservoir in hydro-projects. 5. Why thermal power stations are always situated by the side of a river or lake? The thermal power stations are always situated by the side of a river or lake so as to meet large quantity water requirement. Water is required in a steam power station to raise the steam in boilers. 5. What for surge tank is provided? Surge tank is provided to absorb sudden changes in water requirements and reduce water hammer and negative pressure in pen stock. 1. What is power electronic? Power electronics is a subject that concerns the application of electronic principles into situations that are rated at power level rather than signal level. Alternatively, it may also be defined as a subject that deals with the apparatus and equipment operating on the principle of electronics but rated at power level rather than signal level. 2. How is current limited in conducting state of an SCR? The current in conducting state of an SCR is controlled by external impedance. 3. What is false triggering? False triggering is unintended turn-on of an SCR either through gate due to noise pick-up or excessive anode voltage. Hence these are some basic electrical question and answer if you will find any incorrect in above please comment below in comment box. 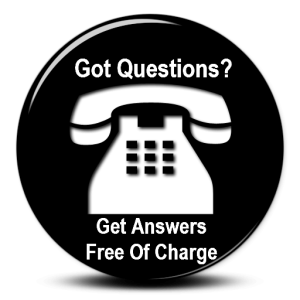 If you want to know more electrical question and answer you must watch this video.